Yeah yeah, I know it’s big and bad to ask someone to follow and bare the upcoming updates of 9 instagram accounts. 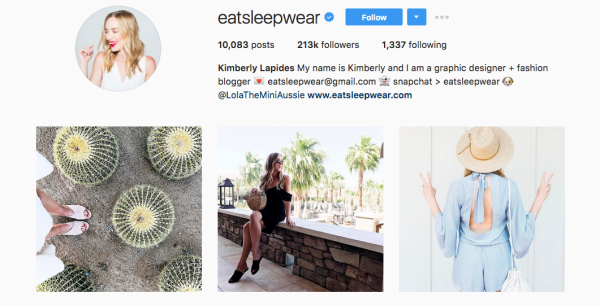 But these Instagram bloggers to follow for daily fashion inspiration who have been constantly working to make your life easier would be your best decision. Tiger Mist’s instagram account is also on a hit now and you will love that. The abstract, bohemian and valentine baby-girl looks are its speciality! Maybe you would love to buy something. Instagram has become a popular trendy app to get daily fashion inspirations and used most frequently by most of the Instagram users. With the help of extensive fashion bloggers, one can visualize stunning images to get the latest news related to the fashion industry. Cool girl? Julie Sarinana! And her account goes inspiring her followers where her status says “Dream. Believe. Achieve” She, with her 4.4 million followers are living a great fashionable life where she regularly flaunts her stunning dressing sense. Minimalist fashion is her smart and attractive feature that keeps on winning hearts. On December 2, Donatella has updated her Instagram with two featuring snaps. She believes in individuality and love to live in freedom. She also works as a designer and has 1.3m followers on Instagram. Not only Donatella, but also other revolutionary fashion designers who changed the way fashion looked is a must know! So if you want to know about her latest updates, can also follow the this Instagram bloggers to follow for daily fashion inspiration. 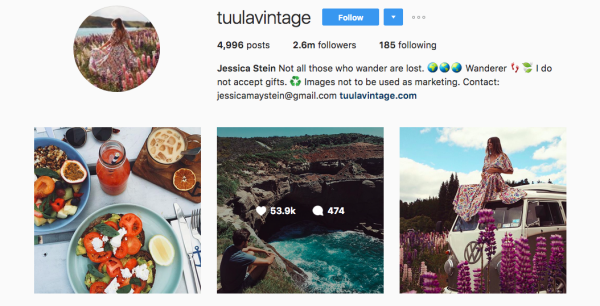 Tuulavintage is her account with 4k amazing fashion pictures and 2.6 million followers. She recently posted her stunning pictures of preggy fashion. Despite of that she also share the regular classy life snaps of yummy food she eats and anything she does. It would be fun to add this yet another Instagram bloggers to follow for daily fashion inspiration. Natasha is another stylish member as well as the designer from Russian fashion mafia. She has followers up to 242k. She fits her wardrobe with the latest stuff. You can follow her for lust-worthy snaps which are completely full of desirable designs as well as front-row view shots. 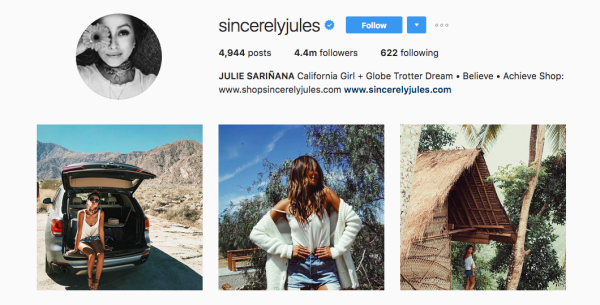 To get touch with her new styles, you can follow this Instagram bloggers to follow for daily fashion inspiration! Martha is a stylish British girl born in London. She always dressed well in best parties with her impressive features. 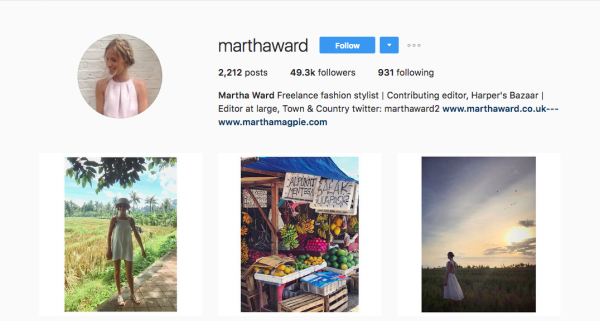 She is also well known freelance fashion stylist and has more than 49k followers on Instagram. In the desire of getting updated with new styles and following someone great at vogue, she is a must follow fashionista! Eva is the ultimate editor-in-chief of US magazine and always seen updated with full of new fashion and styles. She has an ultimate collection from her shots to her shoes and also has the great mixture of trendy bags. It is better to follow her for your regular fashion hits on Instagram. The supermodel, Miranda Kerr has made the greatest posting of selfies and conclusive shots on her Instagram profile. 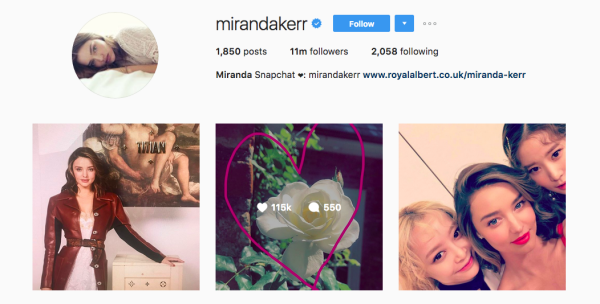 She loves to capture a wide collection of dreamy scenery, flowers and always posts some imaginary messages for her followers that are above 6.1 million. Engage fashion inspirations from her will keep your fashion sense updated! Not just a fashion designer and fashionista but an immensely creative graphic designer as well. 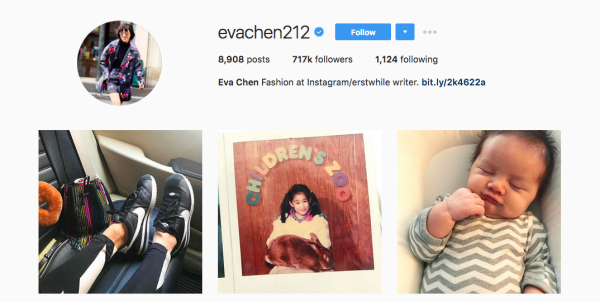 Those are the lucky 213 k followers that are constantly getting inspired from the amazing pictures of her style that she share with her followers! Join the vogue party with her! Penko has inexpensive store with the amazing photography and outfits which one can follow on her Instagram account. After taking a look at these glamorous and stylish Instagram bloggers to follow for daily fashion inspiration, don’t forget to share with us; your views and your favorite insta blogger! Well, copy these styles and discover your own! Who knows people start following you as well!